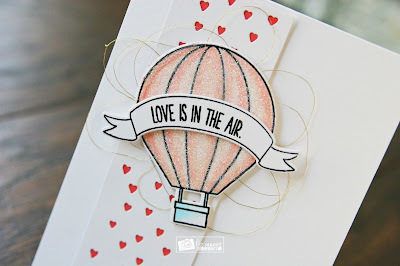 Liz's Paper Loft: MCT Favorite Stamp/Die of the Month Redux ~ love is in the air! 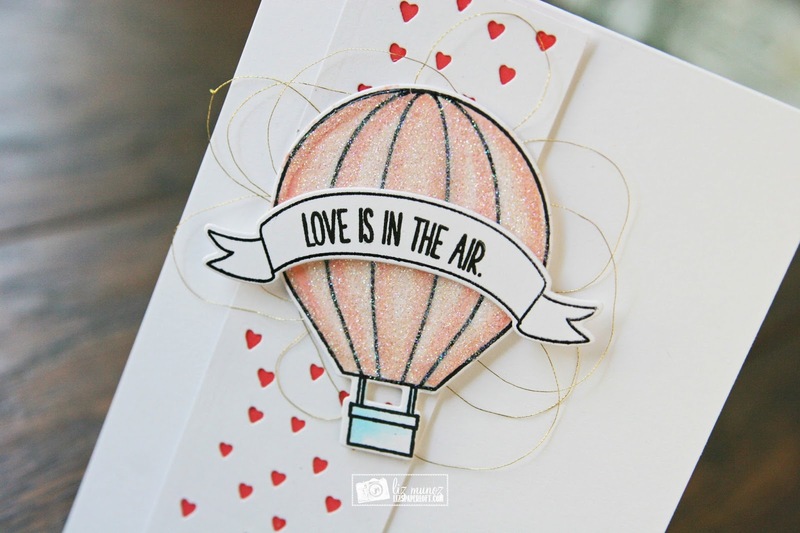 MCT Favorite Stamp/Die of the Month Redux ~ love is in the air! Hi! Today I get to share with you "The Sky is the Limit" stamp and die set for the "redux" Stamp/Die of the Month from My Creative Time. This set is so SWEET and perfect for many occasions! To create the "heart" strip, I die cut the heart die several times, then I placed a strip of red behind. I colored the balloon with copic markers and added ultra fine glitter. Hi Miss Liz...What a Gorgeous card. 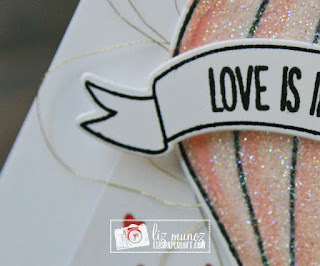 Love how you did your heart strip what a Fab idea..and am loving how you used your metallic thread...makes for a Stunning look!! Great coloring job too.....Definitely all clever and creative ideas using Miss Emma's goodies. YOU so ROCK!! 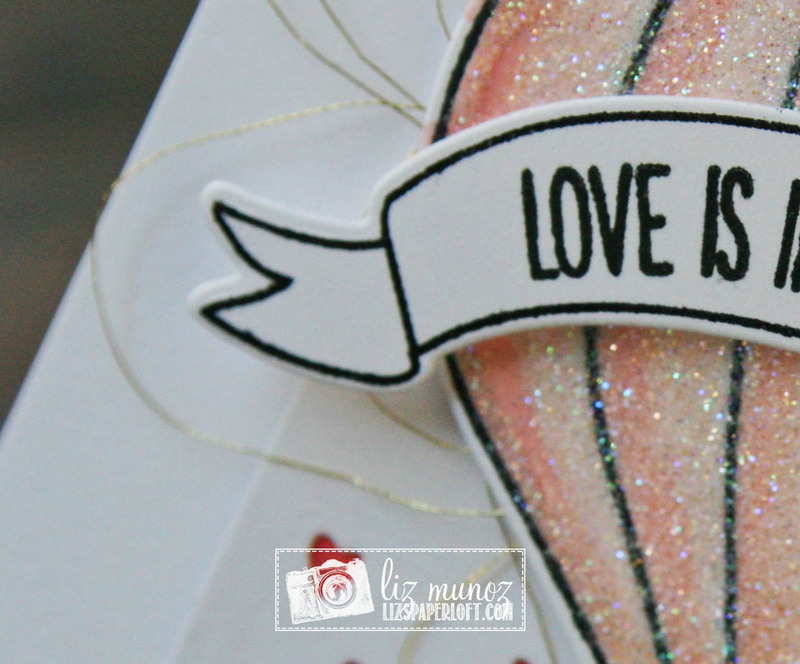 Gorgeous card, Liz! 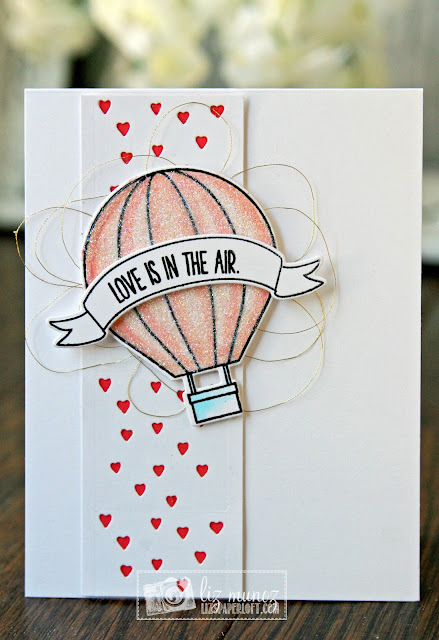 I love the heart strip behind the balloon; it's the perfect touch!